If you’re curious what a 1986 Nissan Sentra looks like after sitting in a river for a really long time, check out this video of thick-accented Bay Staters pulling a dilapidated hunk of metal from the Merrimack River. 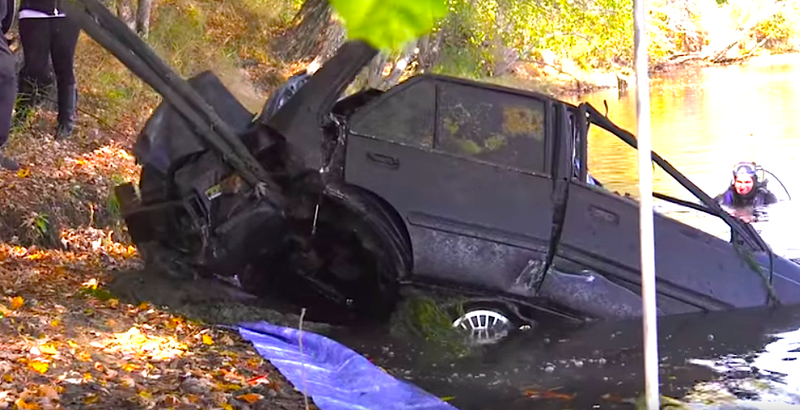 Eagle Tribune says this old Sentra was recently spotted by divers participating in the Clean River Project (a program dedicated to spiffing up the Merrimack) near Haverhill, Massachusetts. 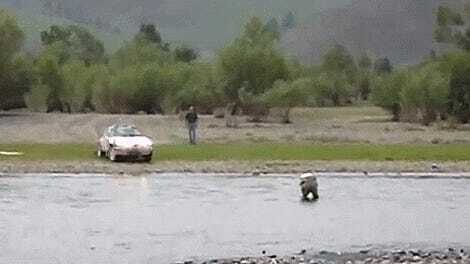 Upon retrieving the clunker from the river, the New England-based newspaper reports, a police officer ran the car’s VIN and found that it had been stolen way back in 1988. Of course, we don’t know that the car was down there for all 28 years since the robbery, but it’s clearly been down there a while. The crazy thing is that Eagle Tribune says the Clean River Project got a grant from the state to extract 20 cars from the river, and that there are possibly even more down there ready to be discovered by a sonar scanning device. People of Massachusetts: I know parking is hard, but damn.